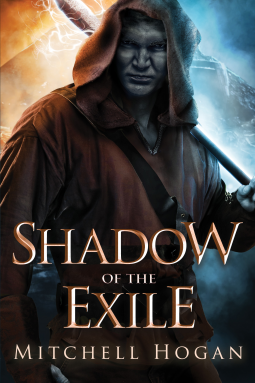 Publisher’s Description: Outcast and exiled, the demon Tarrik Nal-Valim has long been forgotten by the world of humans. At least, so he thinks. But when he is summoned as a last resort by a desperate sorcerer, it seems as though his past has caught up with him. The sorcerer is Serenity “Ren” Branwen, the daughter of Tarrik’s former master—and friend. Though she seems cold, driven, and ruthless, Tarrik can tell that Ren has her back against a wall, and he is compelled by ferocious powers to obey her. Review: So……this….was…really….good. This parsing of verbiage hopefully drives home that point. Tarrik is called and bound by a sorceress, to help protect her while she pursues a hidden quest of her own. This constant movement creates an interesting and varied world and even more interesting characters. The magic is very involved and intricate in approach and varies from person to person. The only downer is the oft repeated “Hiding shadow blade” reasoning among others. There is no need to re-iterate instances. We are accomplished readers not idiots. I was holding my breath, hoping beyond hope that the two main characters in this novel would NOT devolve into a romance. And thankfully Tarrik just wants to find ways to break the sorcerers enslavement in order to kill her. Yeah baby! Who knows, maybe down the road something love-buds, at which point I will shjt-can the novel. So enjoy it while it lasts and get it while it’s hot!